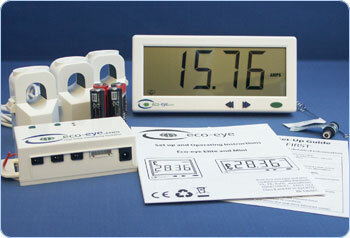 The Eco-Eye Elite 200 is better suited to businesses looking for a simple on-going energy monitoring device. 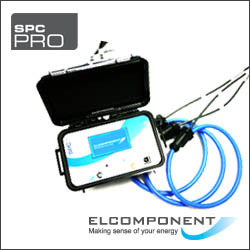 The SPC Pro can either be purchased for longer term use or Morgans Electrical can hire the equipment for you for short term analysis of electricity usage. Easy to hook-up – clip on the flex hoops, plug in the power lead and press the start button! Can measure energy usage and cost at 30 second intervals for 3 circuits at a time which will help identify where the highest cost is being incurred and therefore where the biggest savings can be made. These are expensive to buy at around £995 + VAT. however, they can be hired on a weekly basis for around £100 per week plus installation support. We can arrange this for you so call us on 01525 213103 to discuss your requirements.